Posted on August 28, 2017 at 2:34 pm. While many tend to imagine plain ginger ale like Canada Dry, or typical mixed drinks with ginger beer when they think of ginger drinks, there are plenty of recipes that can bring out the nuances of this familiar spice. Here are some unique alcoholic and nonalcoholic beverages that can help expand your palate and give you some ideas about how to use ginger when you’re in the mood to throw it into the mix. If you love pomegranate as much as ginger, this four-ingredient drink is the perfect autumn beverage. It blends hard apple cider, ginger liqueur, apple brandy and pomegranate juice to create a colorful ruby-red cocktail that’s easy to mix. This rye drink mixes ample lime with fresh ginger syrup that enhances the whiskey spice, giving it a unique and refreshing taste. Looking for a change-up from the old-fashioned Dark ‘n Stormy? This cocktail originating from NYC combines ginger juice with two different kinds of rum. Instead of ginger beer as the soda, the drink uses chocolatey and bubbly dark beer. This drink is a nice and easy one. It’s made using Prosecco or another type of sparkling wine, which is then flavored with grapefruit juice and the ginger liqueur of your choice. Like the Pom Pomme, this is a great option for the fall. This one mixes fresh ginger syrup with mezcal and aged tequila, with a hint of lemon juice to add more color. As another great option with a tequila base, this drink is an update to the Diablo. Rather than ginger ale, this version uses fresh ginger syrup. You can also top it with a candied ginger garnish. An elegant blend of rosemary and pear gives this beverage a nice easy flavor, with ginger liqueur for added spice and a bit of lemon juice. This drink uses a ginger liqueur mixed with fresh grapefruit and lime, along with some orange bitters and mezcal. Not one for alcohol? Ginger is equally delicious without the boozy mixer. Add ginger ale to the classic Shirley Temple and further switch it up by adding lime juice in addition to grenadine syrup, with a thin lime slice and cocktail cherry to garnish. This is a nice tropical summer option for a hot day, blending pineapple juice and freshly squeezed lime juice and grenadine together, with cold ginger ale to top it off. This delicate drink mixes elderflower cordial, a small amount of peeled and grated ginger root, freshly squeezed lemon juice, and sparkling water for a nice alternative to traditional lemonade. Add a mint sprig and lemon slice as garnishes. The Firepit Steamer lives up to its name as a hit and spice yet fresh-tasting beverage to keep you warm on those chilly nights. Mix cranberry juice, red grape juice, anise, a cinnamon stick, a teaspoon of brown sugar, and a slice of peeled fresh ginger root for this one-of-a-kind drink. These are merely some of the many great drink recipes that make use of delicious ginger additions. 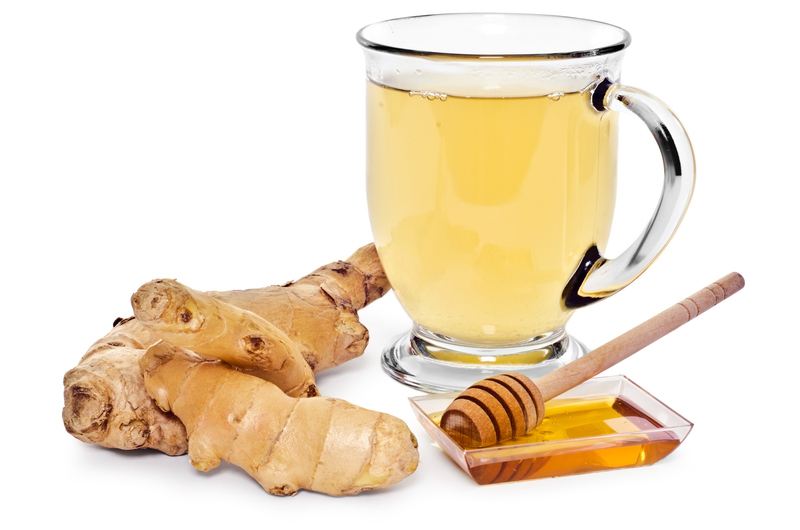 You also can try making your own ginger drink recipes at home to take advantage of this delicious ingredient.